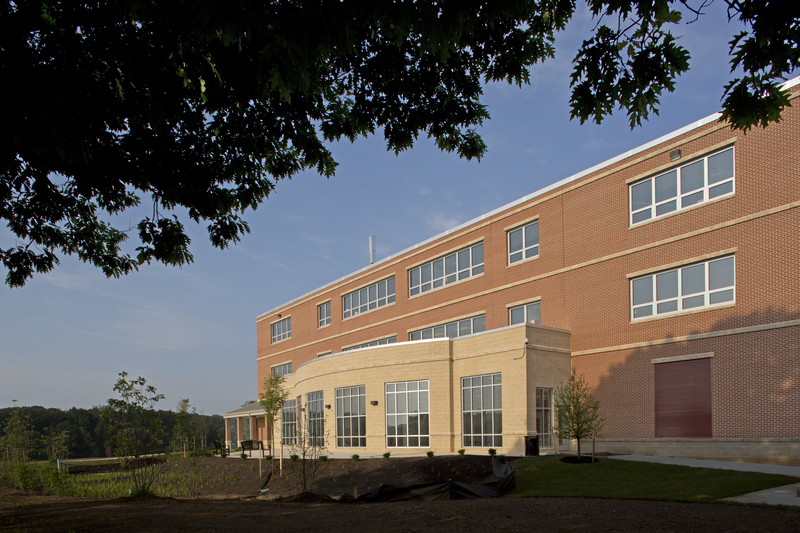 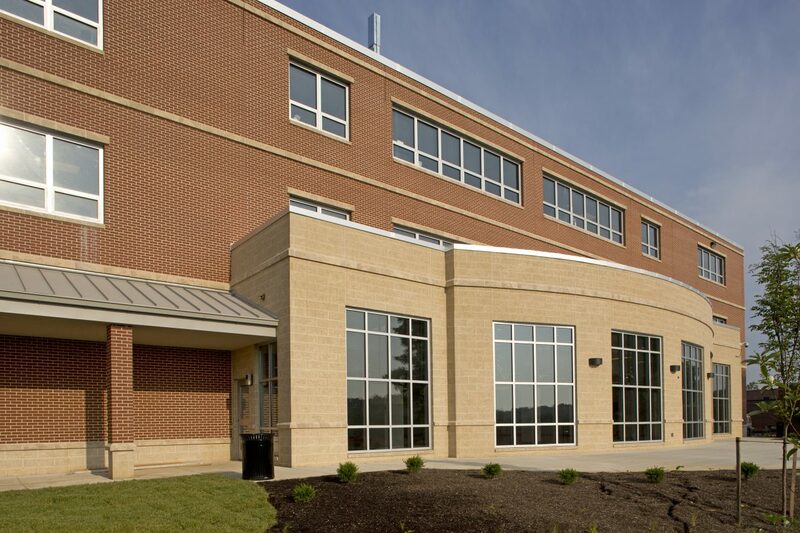 JMT Architecture and MEP Engineering provided study through construction administrative services for this 50-year-old school in rural northern Baltimore County in two large phases. 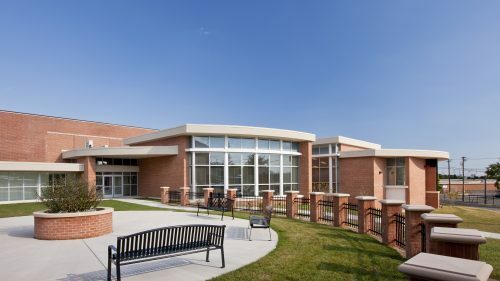 Package I consisted of the renovation of the existing gym building and existing auditorium, a new elevator addition, a new parking lot, and a new HVAC support building for the chiller plant. 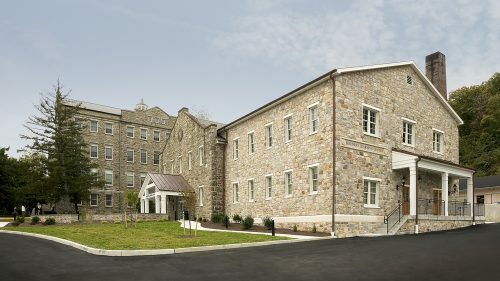 Package II was the renovation of the remaining portion of the existing building with a new three-story, 60,000 SF addition for cafeteria/kitchen and science labs, expansion of fine arts and library, new pre-treatment building for septic, new exterior windows and doors, and a small barn for animals. 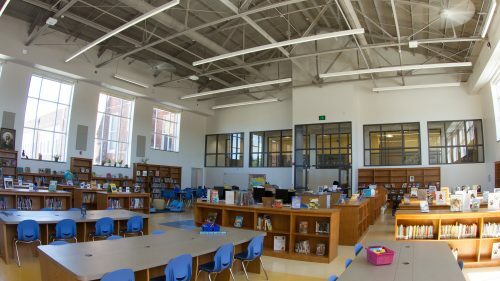 Also included was a new front entrance, technology throughout, A modified bus loop with parent drop-off, ADA improvements, and miscellaneous site work including a new practice field. 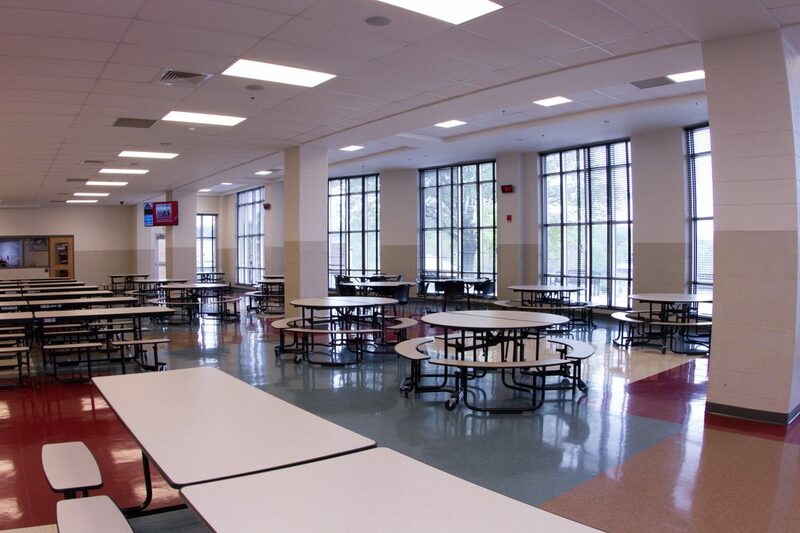 JMT worked with two contractors on site, one for each package. 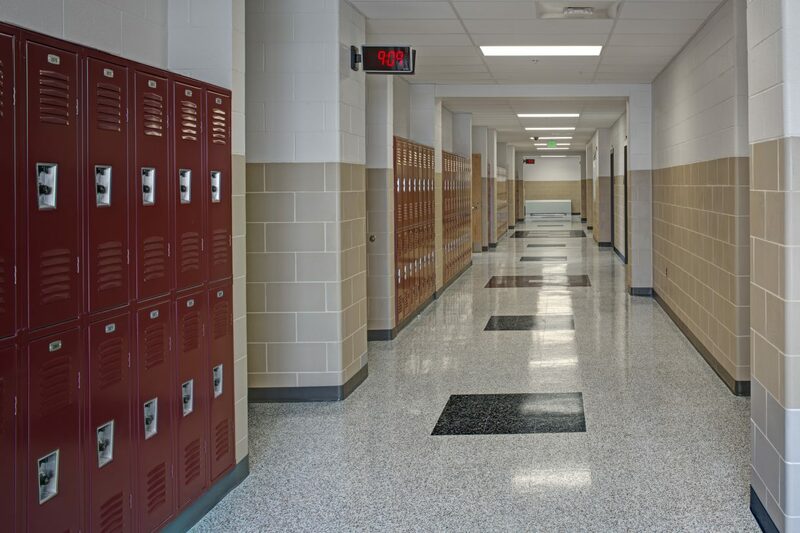 The school remained occupied and operational.